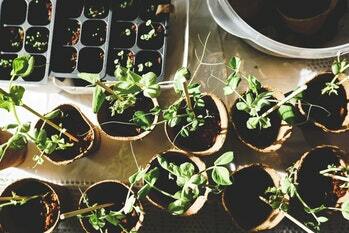 How to grow plants in hydroponics? Let's go back to our childhood… especially when we planted cress for the first time. Wasn’t it the moment of greater admiration to see how it grows? Initially, it used to be small, inconspicuous, and gradually it grew even bigger. Not to forget, its characteristic smell cannot be mistaken for anything else. Hydroponics is just like the first gardening adventure, but the only difference lies in the fact that in hydroponic gardening, granules are used instead of cotton wool. Apart from that, you do not even need land to grow hydroponics because plants are grown in water. What does the hydroponics kit look like and why choose the AutoPot brand? The expression "cultivation in water" sounds quite bizarre, because it has been seen that plants start to rot when kept in such an environment for longer period of time. Hence, to protect them from getting damaged, they are kept in a structure that is designed to provide them favorable conditions instead of soaking them completely to death. 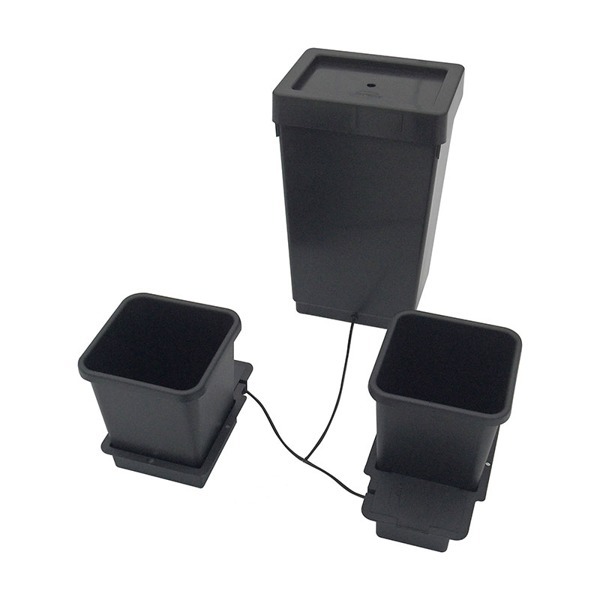 To ensure the longevity of hydroponics garden, it is worth choosing recognized and reliable brand AutoPot. It comes with accessories and hydroponic kits such as AutoPot 3x15L, Easy2Grow and Autopot 1x15L. Basically, the hydroponic system consists of two vessels: external and internal. In the inner vessel, roots of the plant are kept in a container filled with an inert substrate such as expanded clay. This container can be made of plastic, but must have holes for water drainage. These holes are also essential for overgrowth of the roots. However, it should be ensured that the holes are small enough to prevent the spillage of the granules in which the specific species is placed. Apart from this, there is another special hole, in which the water level indicator is attached. Once the inner vessel is all ready, we place it inside an external vessel, which should be made out of a solid material resistant to acids, but impermeable to water. If you want to be able to easily see the changing level of water or nutrient content, you can also get pots that are transparent. But, bear in mind that too much access to light can negatively affect the plants and result in fast algae growth. To prevent this, these containers should be kept in shaded areas. Some individuals also purchase opaque models; but in that case, it is essential to buy an additional liquid level indicator to control its appropriate height. Hydroponics is the ultimate solution for not only potted plants such as ferns and cacti, but you can also use them for growing flowers that you already have in your apartment. To do this, all you need to do is to first take out the plant from the pot and then place it in clean water at room temperature. Keep it there for atleast half an hour. After that, take it out, clean its roots and transfer it to the inner pot. Add a pointer to the pot's wall and then transfer the ready container into outer casing, which is filled with water stuffed with nutrient solution. A perfect substrate is the one which ensures a strong planting in the pot and proper air access to the roots. Keramzite is suitable here, although it may be perlite. If you want an even better solution, you can look out for a special filling pellet for hydroponic cultivation. During that process, make sure that the type and size of the cultivated plants are adjusted to the thickness and weight of the substrate. We should also pay attention to the pH level of the solution so that it is stable and appropriate for a given species. Fertilizer - why is it important in hydroponics? Just like other living creatures, plants also need nutrients apart from basic water and light. And, special tablets are recommended for hydroponics. These tablets consist of granulated soluble fertilizer, which is advised to be added (for the first time) about 2-3 weeks after planting the rooted plants. After adding it for the first time, we should replace it completely after every six weeks. Hydroponics is a really easy and grateful way of growing potted plants, because in it, for a home piece of greenery, all you need is a minimal commitment. With limited amount of commitment, different benefits that you can get include: saved space; no allergens (that are normally found in the ground); and higher humidity in the room.